We Just had a Wedding in Cana! Very cool! 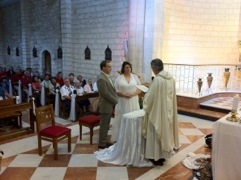 A couple in our group was married at the Church in Cana of Galilee. More soon with videos.